Organisers: The Tamil Nadu Dr. Ambedkar Law University, Chennai – 600028 P.G. Department Of Environmental Law And Legal Order in association with Ministry of Environment and Forest, Government of India. Dates: 22nd and 23rd March, 2013. Venue: Auditorium, P.G. and R.D. Block, The Tamil Nadu Dr. Ambedkar Law University, Chennai -600 028. Well researched and documented papers will be permitted for presentation at the National Seminar. Abstract of the Paper (not exceeding 300 words) on identified sub-themes along with the prescribed registration fee by way of DD should reach latest by 28th Feb 2013 to Prof.Dr.D.Gopal, Seminar Director. The full paper (between 15 to 20 pages in MS Word typed in double space on A4 Size) shall be submitted to the Director of the Seminar on or before 15th March 2013 to the below mentioned mail address. Demand Draft shall be obtained in favour of “Director of the Seminar” payable at Chennai. Persons who are in need of accommodation can contact the seminar Coordinator. Last date for Registration is 28th Feb 2013. 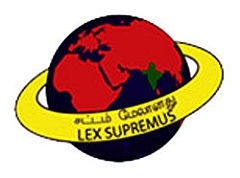 The Tamil Nadu Dr. Ambedkar Law University, No.5, D.G.S. Dinakaran Salai, Chennai-600028. P.G. DEPARTMENT OF ENVIRONMENTAL LAW AND LEGAL ORDER.